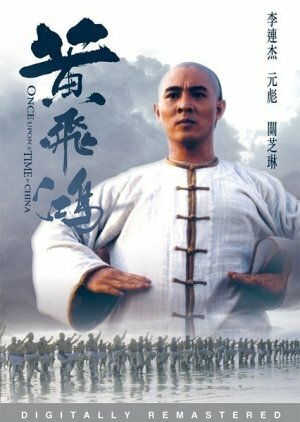 I came across this movie when I was studying Chinese history, and Wikipedia mentioned this movie as having a historical background, so I decided to give it a go. The movie does have a historical background, though one does NOT need to know the history of China to be able to enjoy this movie. Story 8/10: The only reason I didn't give this movie a 9 or a 10 is because it has no real twists. You know what's going to happen from the beginning, especially if you know Chinese history and how that turned out. I did love the characters though, even the evil ones were relateable in my opinion. Acting 10/10: I have no qualms with the acting, and it was perfect. The only problem I had was I believe I watched a dubbed one ( either it was originally in Cantonese or Mandarin and then it was changed to the other since the voices/lips sometimes didn't match. Not too big of an issue though). Music 7/10: The music wasn't outstanding. It was average. It didn't take away from the movie or add to it. Rewatch Value 6/10: If you're a Martial Arts fan like I am, then this is something you could definitely rewatch as their are almost no twists int he movie. Overall 8/10: This is a solid movie, not the greatest, but not bad either.